• 856 sqft , 1 bath , 2 bdrm single story – FOR SALE CAD229,000 . 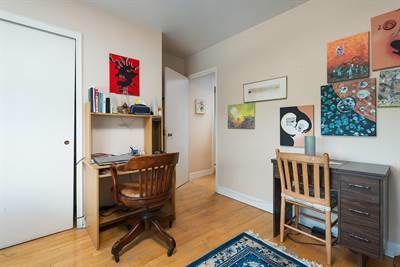 Spacious 2 Bedroom apartment located just minutes from Downtown and Mt-Royal. Bus at the door. Large windows, wooden floors. Concrete building well soundproofed and completely renovated. Inside garage and storage included in the price!Presently rented. Sector of choice just 10 minutes from downtown and UDEM/HEC. – Spacious living room with enough space for a dining table as well. – The main room is really large. – The building is pets friendly. – Condo fees include taxes (school and municipal), heating, hot water, building maintenance etc. – Presently rented at $1003 dollars.